Did I mention I’m running a half marathon in less than two weeks? Hmmm…well, that might be because I’ve been in denial. 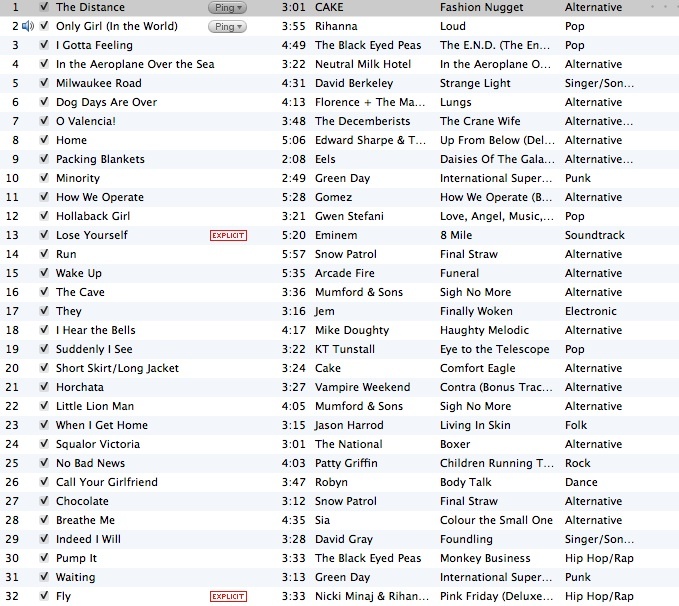 With the help of some friends, I assembled a playlist that should take me through the whole race (just over 2 hours at my usual pace). My only criteria for selecting songs was that each song had to have a strong, steady beat and make me feel good or energize me in some way (physically, emotionally). I love the power of music. Do you see any of your favorites on this list? Anything you would add or delete?